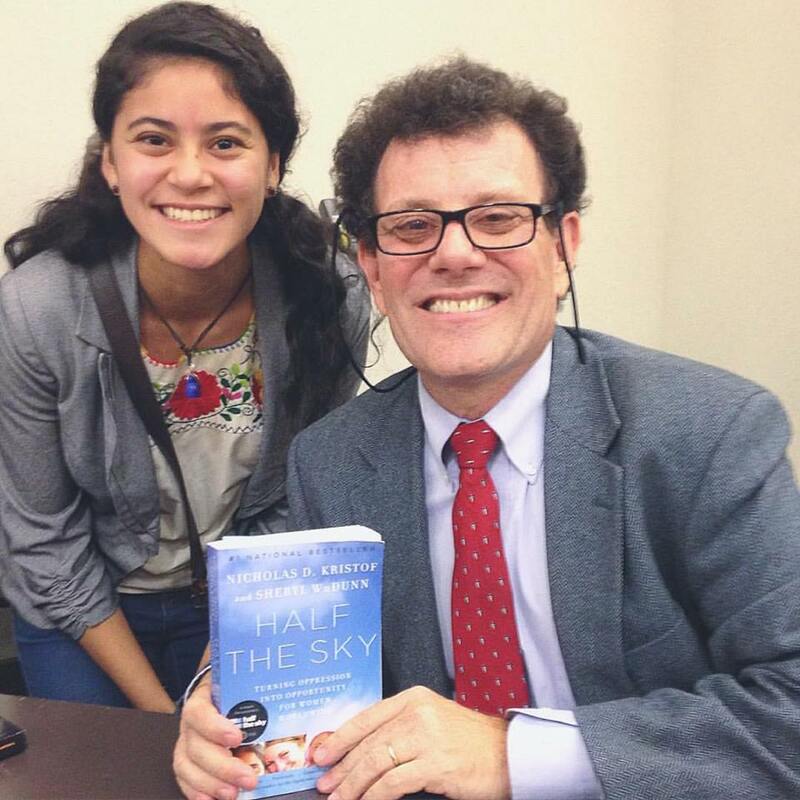 Junior journalism student, Mimi Pedercini, alongside two-time Pulitzer Prize winner and New York Times columnist, Nicholas Kristof. Monday, October 5, was a historic day for journalism aficionados at Messiah College. If you haven’t heard of him before, allow me to give you a little run-down. Kristof is a two-time Pulitzer Prize winner (think the Golden Globe of the journalism profession). He has worked as a New York Times columnist since 2001, and has been a foreign correspondent for decades, traveling to over 150 countries. During this time, he has reported on a vast array of global issues, from human trafficking and gun control to the importance of education and gender equality. He is known, among many other things, for his penchant of stirring empathy by focusing on specific people’s stories, essentially putting a face to each issue. This world-renowned journalist was also the keynote speaker for the American Democracy lecture series here at Messiah. On Monday, the High Center’s Parmer Hall was filled with over 600 guests, who listened as Kristof spoke on the topic of oppression and human trafficking. He shared his thoughts on a wide variety of issues within the broad spectrum, from teenage pregnancy prevention to the impact of education worldwide. Kristof ended the lecture in his characteristic style, by sharing a powerful story of his own father’s immigration to the United States, which was made possible only by the compassion of strangers from Oregon. “I’m a big believer in the proverbial drop in the bucket,” said Kristof, whose message brought home a vital truth: even if your actions can’t save the masses, there is power in just changing one life. Following the lecture, Kristof signed copies of his most recent book, A Path Appears, before leaving to catch a flight to India where he will be reporting on health issues. One thing is for sure: Kristof certainly practices what he preaches.